Keeping honest people honest, is it as simple as that? Fraud comes from places and people you may least expect. Is your ministry organized to enhance fraud prevention? Get the best practices on how your ministry can enhance its fraud prevention today! On average, charitable giving has trended up in recent years, but not for all sizes of organization. We hear how ministries and churches are managing their reserves more carefully for future swings. Also, Warren Bird shares his big takeaways from all the data he’s researched! ECFA has been conducting in State of Giving Survey and compiling the data for you! Please dive into this helpful report. The goal is to help boards improve their governance and go on to increase the effectiveness of their ministries. From the unique perspective of Christ-centered nonprofit boardroom experiences, Dan Busby and John Pearson share the lessons they have learned. What’s in store for ministries in 2019? News, insights, trends, and brand new resources for ECFA members, we’re excited to give you a VIP first look at what’s to come! Here at ECFA, 2019 is the year of Excellence and Governance. Tune in for an exclusive sneak peek at the fresh resources, books, and events coming your way. Whatever milestones or goals 2019 holds for you and your ministry, we are here to help! Annual Planning, Starting and Ending the Year Strong! It’s that time of year again and if you have questions, here are the answers. Drop in for a refresher on all those year-end quirks and to-do list items. When it comes to benefits, the return to the ministry can be significant if they are properly leveraged. Recruiting and retaining quality people relies on a clear benefits strategy. Join in for a thorough discussion of the role benefits play in the greater mission of your ministry. Live by faith while planning ahead. A thoughtfully prepared budget will save you time by making decisions upfront. Join ECFA’s Vonna Laue and John Van Drunen for tips on how to get there. You wouldn’t set out on a cross-country trip without a detailed roadmap and itinerary. A thoughtfully and prayerfully prepared budget will get your ministry where it needs to go. Does your budget function as a tool or as a weapon? 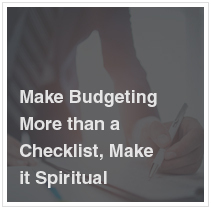 Before the first amount is set, infuse your budget-setting process with prayer and spiritual discernment. You’ve heard the adage of servant leadership, and perhaps someone comes to mind when you think of the concept. Hear from our President, Dan Busby, about his lifetime of service and how God is using those experiences to accomplish His purpose at ECFA. Before that first call for donations, be sure that you are in the clear. This run-down of requirements will prepare your ministry for proper charitable solicitation. 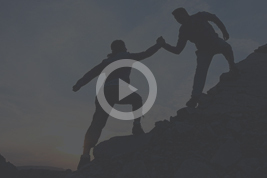 The Christian Ministry Advancement Standards Council (CMASC) is a champion of “building faith and trust.” Hear from Steve Kerr about how accountability standards are benefitting the people investing, operating, and watching Christ-centered ministries in Australia. Copyright 2018 ECFA. All rights reserved.